We all hold a certain vibrational frequency, and our bodies are estimated to be about 70% water. Musical frequencies alter our own vibrational state and behavior patterns. Every expression through sound, emotion, or thought holds a specific frequency that influences everything around it — much like a single drop of water can create a larger ripple effect in a large body of water. With this concept in mind, let us bring our attention to the frequency of the music we listen to. Most music worldwide has been tuned to A=440 Hz since the International Standards Organization (ISO) promoted it in 1953. However, when looking at the vibratory nature of the universe, it’s possible that this pitch is disharmonious with the natural resonance of nature and may generate negative effects on human behavior and consciousness. Music lovers and musicians have noticed that music tuned in A=432 Hz is not only more beautiful and harmonious to the ears, but it also induces a more inward experience that is felt inside the body, at the spine and heart. Music tuned in A=440 Hz offered a more outward and mental experience, and was felt at the side of the head and then projected outwards. Audiophiles have also stated that A=432 Hz music seems to be non-local and can fill an entire room, whereas A=440 Hz can be perceived as directional or linear in sound propagation. The ancients tuned their instruments at an A of 432 Hz instead of 440 Hz – and for a good reason. There are plenty of music examples on the internet that you can listen to, in order to establish the difference for yourself. Attuning the instrument to 432 Hz results in a more relaxing sound, while 440 Hz slightly tenses up to body. This is because 440 Hz is out of tune with both macrocosmos and microcosmos. 432 Hz on the contrary is in tune. To give an example of how this is manifested microcosmically: our breath (0,3 Hz) and our pulse (1,2 Hz) relate to the frequency of the lower octave of an A of 432 Hz (108 Hz) as 1:360 and 1:90. The overall sound difference is noticeable, as 432 hertz is warmer, clearer and instantly sounds more listenable and relaxing. 440 hertz feels tighter, with more aggressive energy – directly reflected in child behavior patterns. Music’s beneficial effects on mental health have been known for thousands of years. Ancient philosophers from Plato to Confucius and the kings of Israel sang the praises of music and used it to help soothe stress. Military bands use music to build confidence and courage. Sporting events provide music to rouse enthusiasm. School children use music to memorize their ABCs. Shopping malls play music to entice consumers and keep them in the store. Dentists play music to help calm nervous patients. 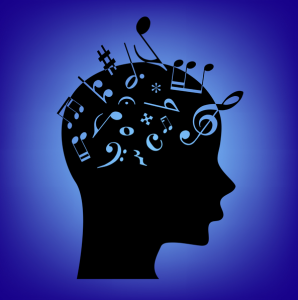 Modern research supports conventional wisdom that music benefits mood and confidence. Everyone who has learned their ABCs knows that it is easier to memorize a list if it is set to music. Scientific research supports common experience that pairing music with rhythm and pitch enhances learning and recall. Music helps children and adolescents with attention problems in several ways. First, it can be used as a reward for desired behavior. For example, for paying attention to homework for 10 minutes, a child can be rewarded with the opportunity to listen to music for 5 minutes. Second, it can be used to help enhance attention to “boring” academic tasks such as memorization, using songs, rhythms, and dance or movement to enhance the interest of the lists to be memorized. Instrumental baroque music is great for improving attention and reasoning. 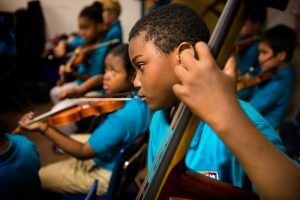 For students, playing background music is not distracting. Third, musical cues can be used to help organize activities – one kind of music for one activity (studying), another for a different activity (eating), and a third kind for heading to bed. Fourth, studies show that calming music can promote pro-social behavior and decrease impulsive behavior. Any kind of relaxing, calming music can contribute to calmer moods. Calming music can be combined with cognitive therapy to lower anxiety even more effectively than conventional therapy alone. Some studies suggest that specially designed music, such as music that includes tones that intentionally induce binaural beats to put brain waves into relaxed delta or theta rhythms, can help improve symptoms in anxious patients even more than music without these tones; listening to this music without other distractions (not while driving, cooking, talking, or reading) promotes the best benefits. An analysis of 5 studies on music for depression concluded that music therapy is not only acceptable for depressed patients, but it actually helps improve their moods. Music has proven useful in helping patients with serious medical illnesses such as cancer, burns, and multiple sclerosis who are also depressed. If it can help in these situations, it may be able to help you and your loved ones experience more positive moods. The current tuning of music based on A=440 Hz does not harmonize on any level that corresponds to cosmic movement, rhythm, or natural vibration. Mozart and Verdi both based their music on natural vibration, and A=432 was nicknamed the ‘Verdi tuning.’ Most western music, including popular New Age music is still tuned at unnatural A=440Hz. The difference between A=440 Hz and A=432 Hz is only 8 vibrations per second, but it is a perceptible difference in the human consciousness experience. Archaic Egyptian instruments that have been unearthed, so far, are largely tuned to A=432Hz. In ancient Greece their instruments were predominantly tuned to 432Hz. According to Richard Huisken, music tuned to 432 Hz is softer and brighter, giving greater clarity and is easier on the ears. Many people experience more meditative and relaxing states of body and mind when listening to such music. The natural musical pitch of the universe gives a more harmonic and pleasant sound than 440 Hz. Some people who are not able to distinguish the 8hz difference claim they can feel the music warmer due to the longer wavelength. 432 Hz gives a greater clarity than 440 Hz, there’s less need to play it as loud as 440 Hz. This means less hearing damage, as long as you put the volume not too high. Furthermore there’s also less noise pressure. Researchers and musicians, such as Coreen Morsink (pianist and music teacher), report that they feel calmer, happier and more relaxed when playing music at 432Hz. 432 Hz seems to work at the heart chakra, “the feeling”, and therefore could have a good influence on child behavior and learning development. Click below to try it FREE!! !